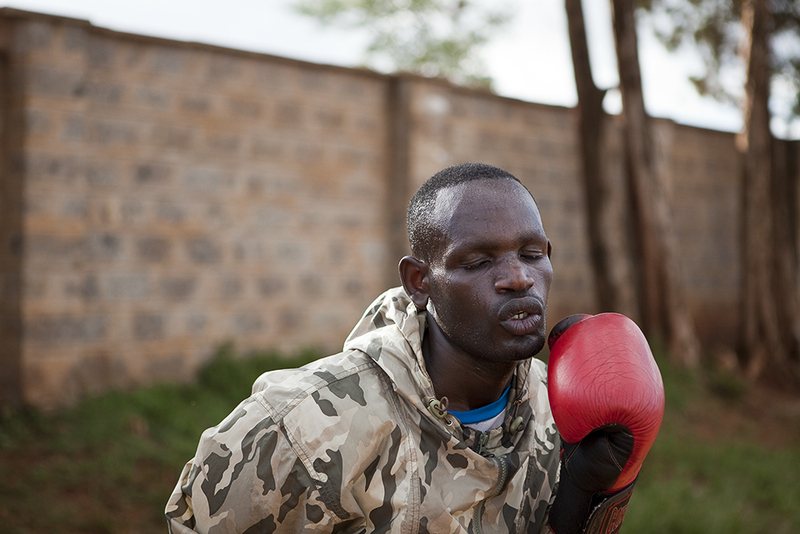 Despite very limited resources the team has produced several boxers who went on to compete for Kenya in the Olympics, hence the name of the team, most recently in 2008 with the light heavyweight boxer Abdul Aziz Ali. 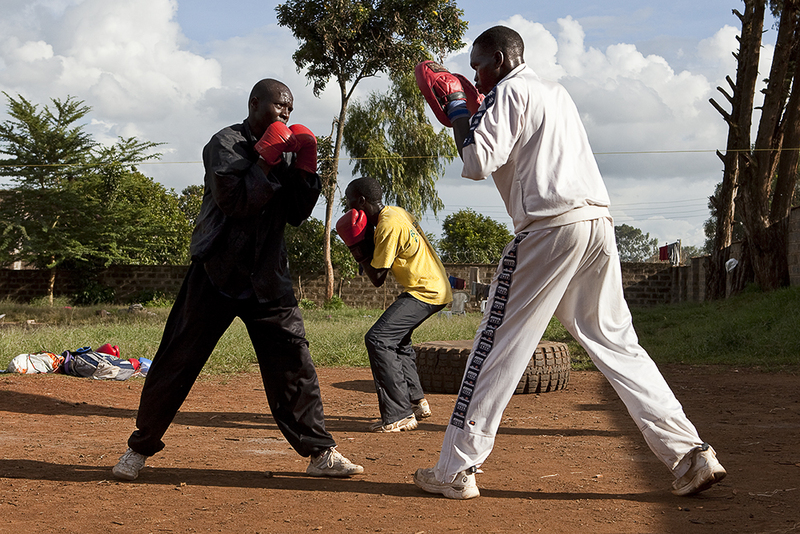 Being tall, of slight build and having worn glasses from an early age, I have always been fascinated with the physicality and controlled violence of boxing and the confidence pugilists exude both in and outside of the boxing ring. 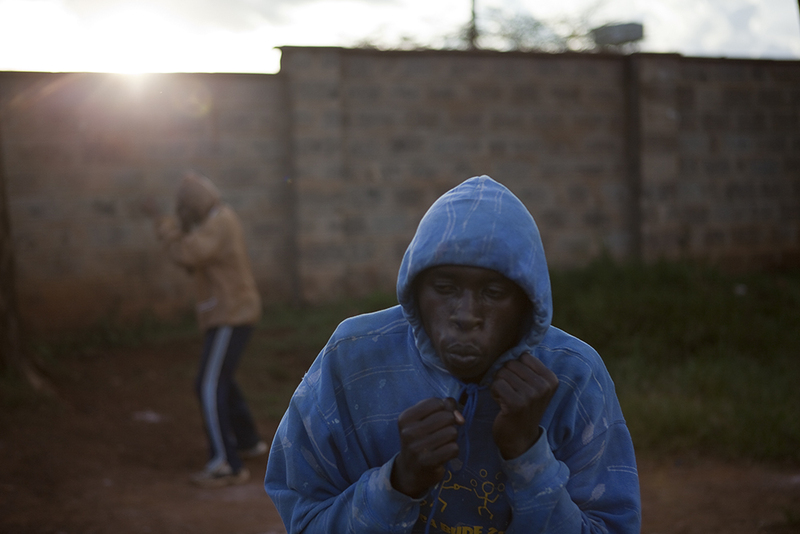 On several occasions as I stood alone on the outskirts of Kibera, waiting nervously for the team as the sun set, in a place I had been warned not to be after dark, children from the area approached and began to shadow box with me. 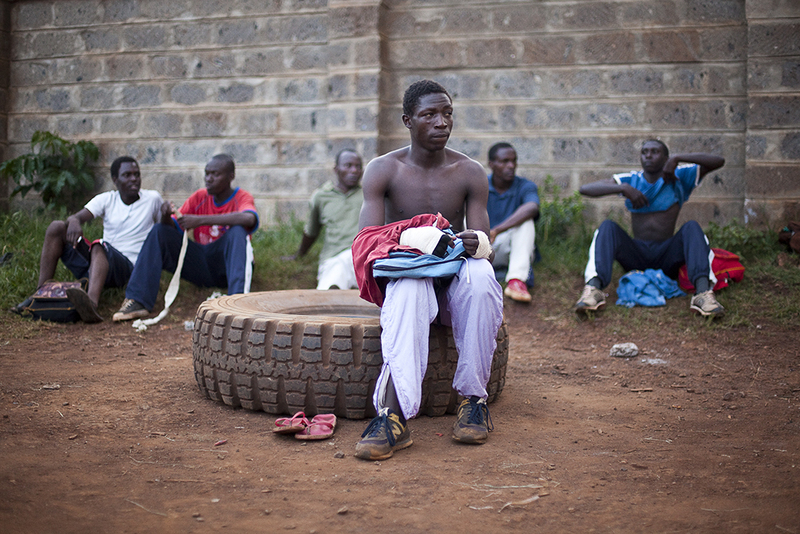 They all knew who I was and why I was there. 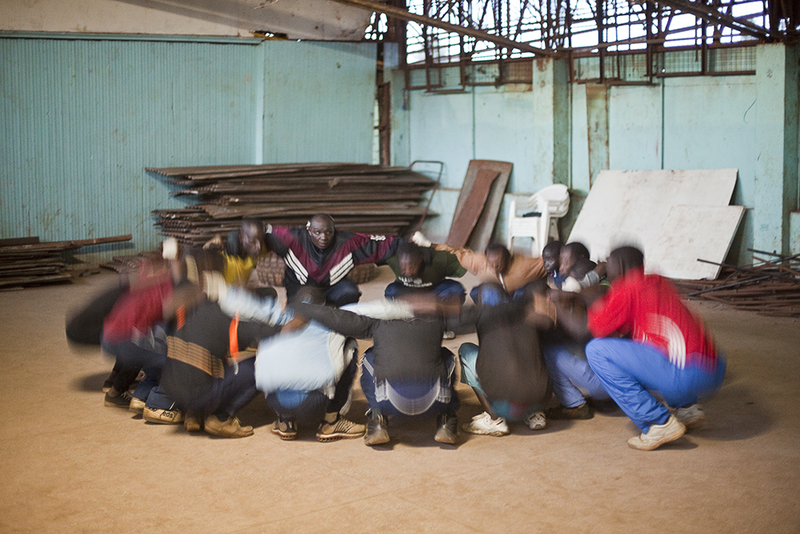 I quickly relaxed and felt much safer, understanding just how much respect the team was afforded by the greater community. 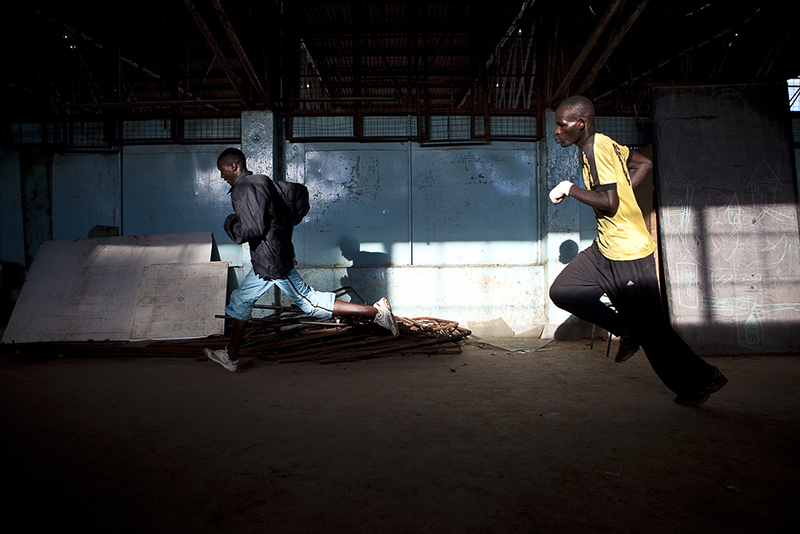 As the team trained in the fading light at the end of the day, with nothing more than a few pairs of boxing gloves, not even enough to go around, I danced between them shooting a series of photographs that I hope convey their focus and dedication to boxing. 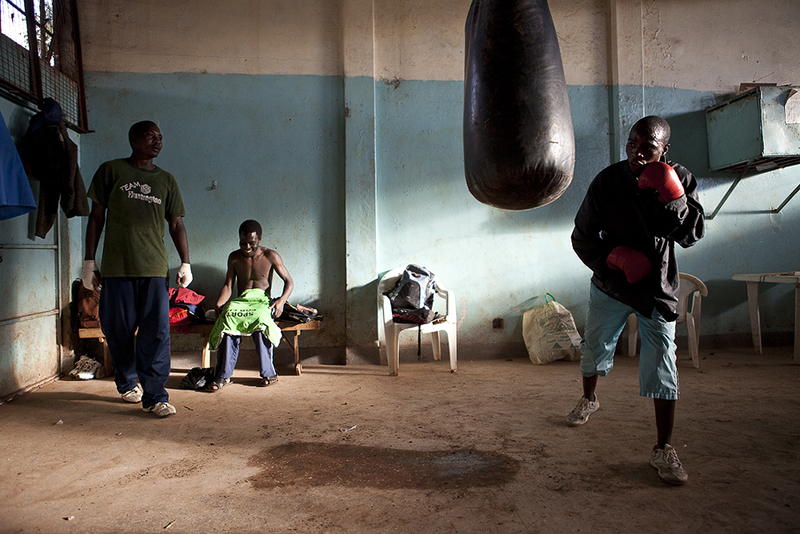 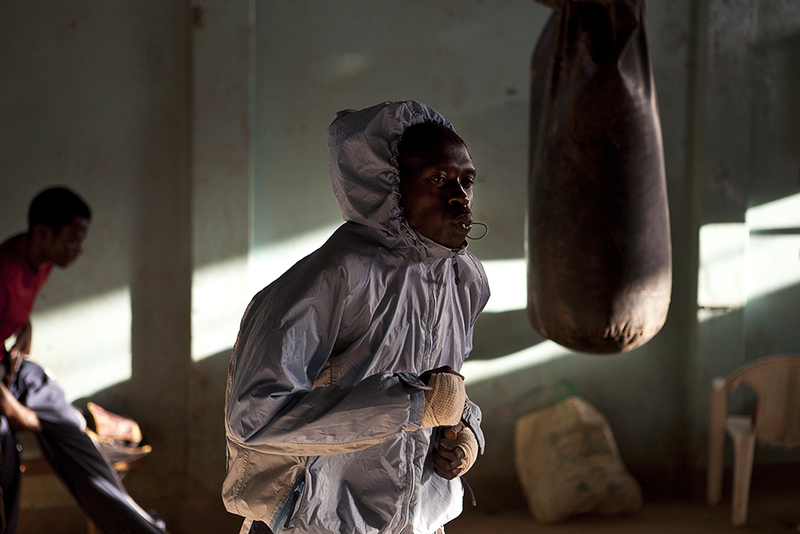 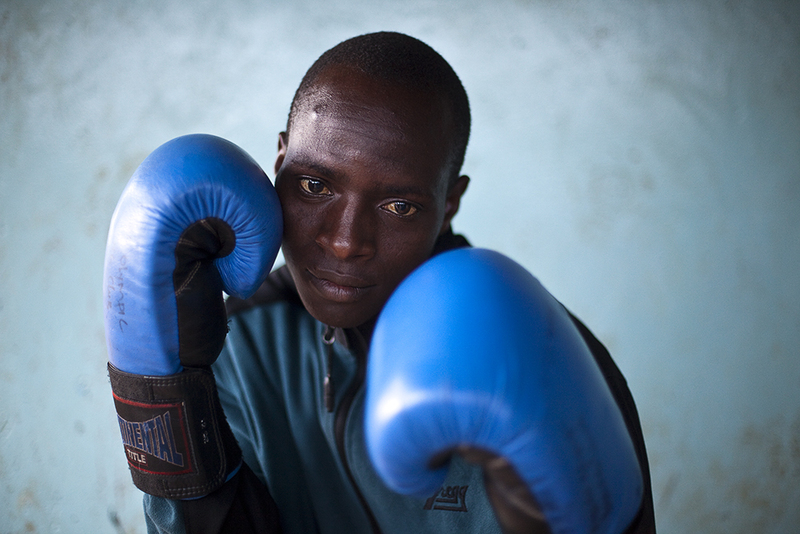 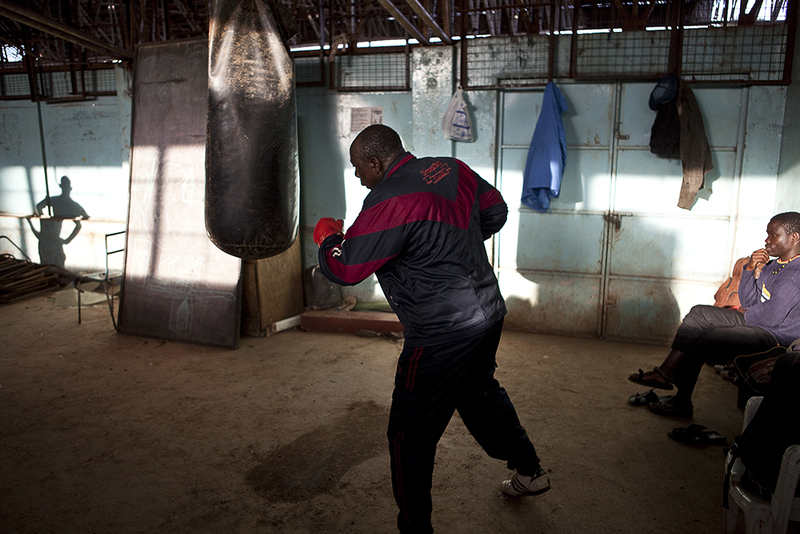 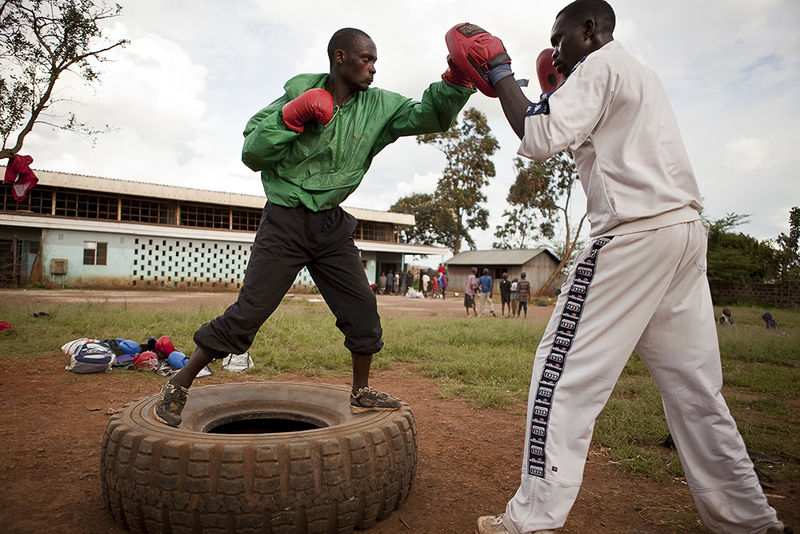 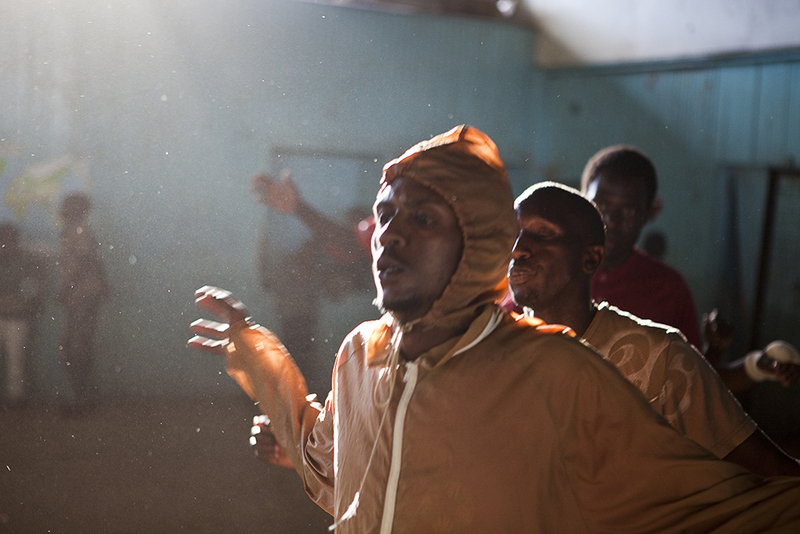 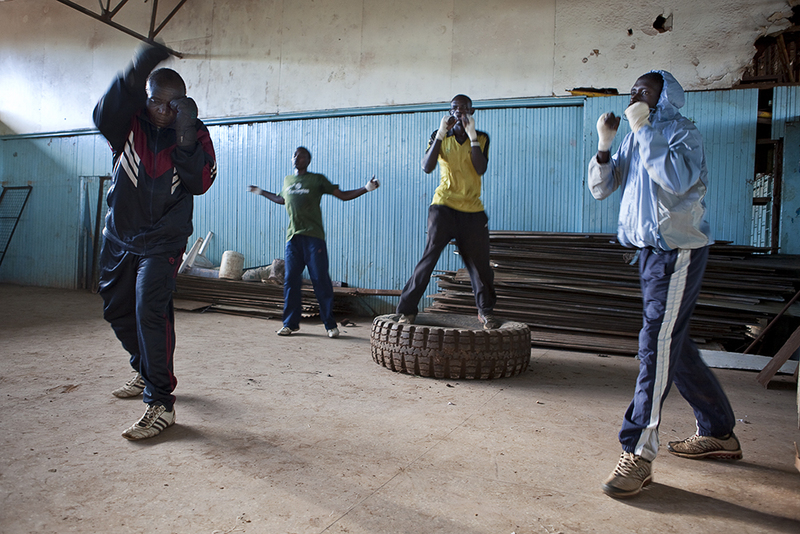 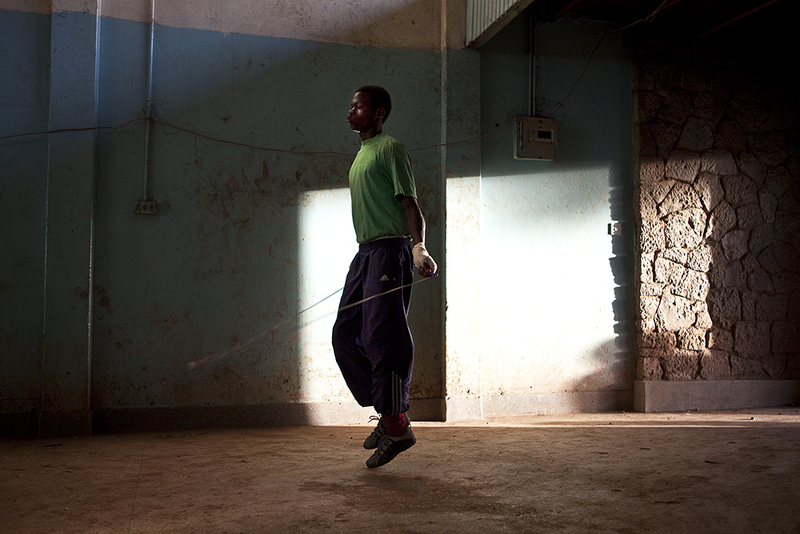 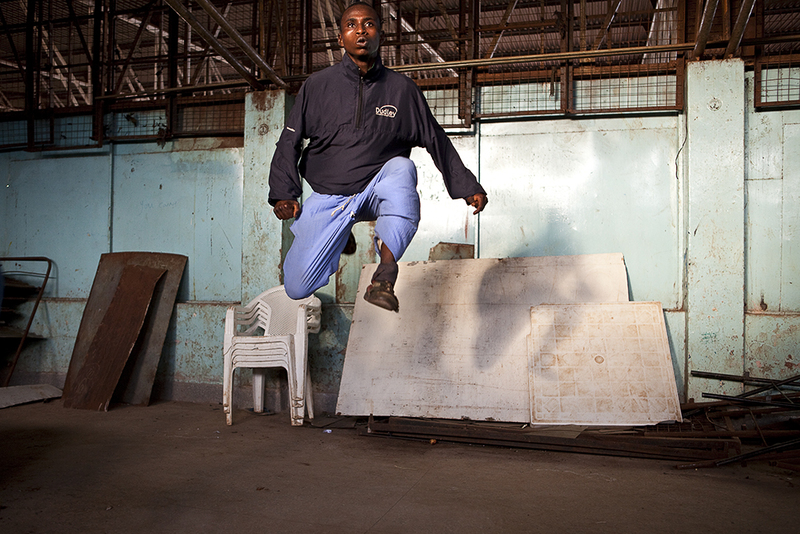 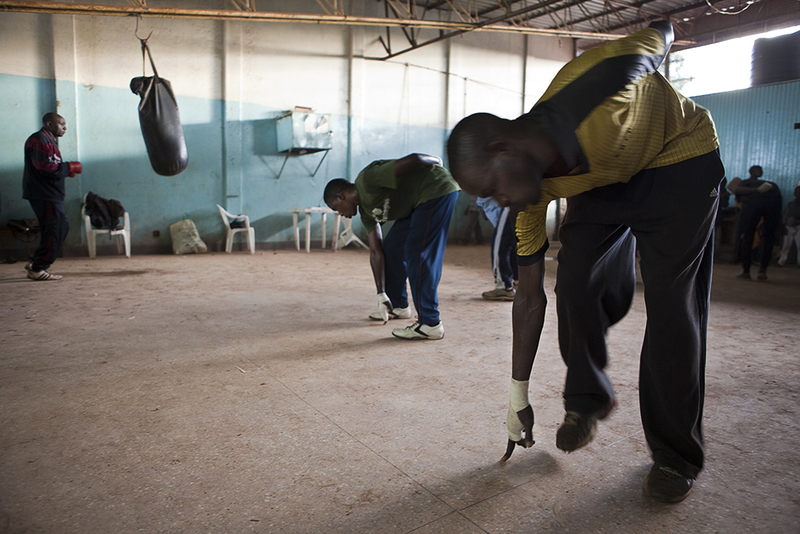 Their gym, a borrowed community center is often inaccessible as it now doubles as a local street children’s refuge, forcing the boxers to regularly train outside on a dusty patch of ground. 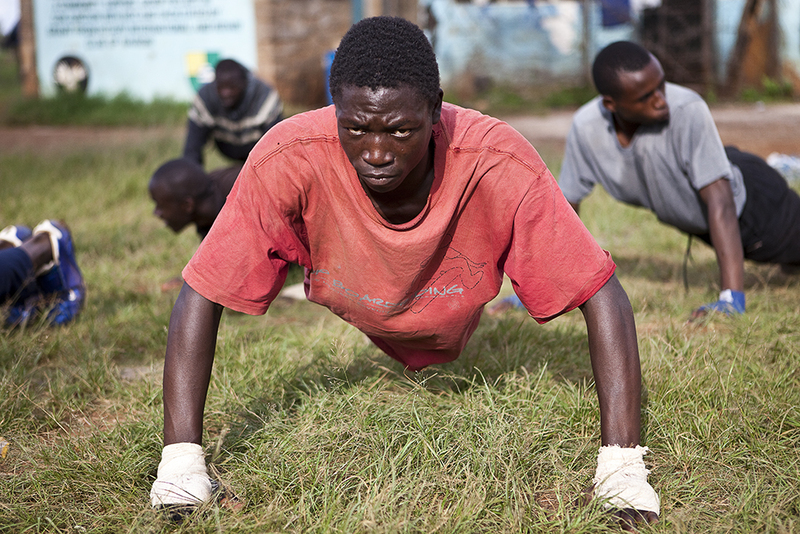 I was struck by the determination and passion in their eyes. 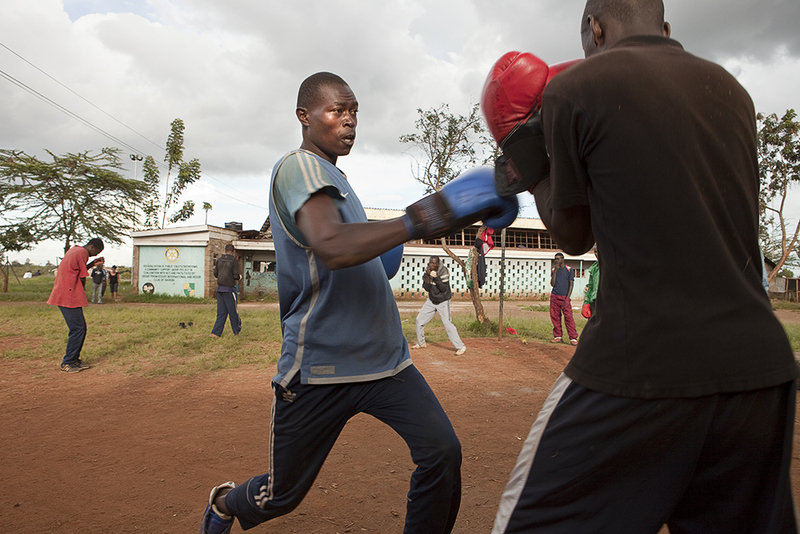 They told me of their dreams of a way out of the slum through boxing and their pride that they were doing something so positive when it would be so easy for them to fall into crime or alcohol or drug abuse. 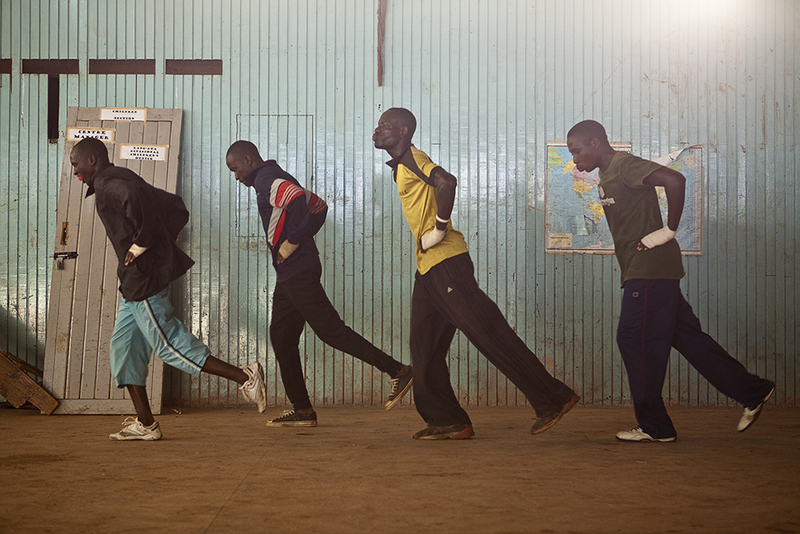 I spent almost everyday for 2 weeks hanging out with the team and getting to know them, which was an amazing experience. 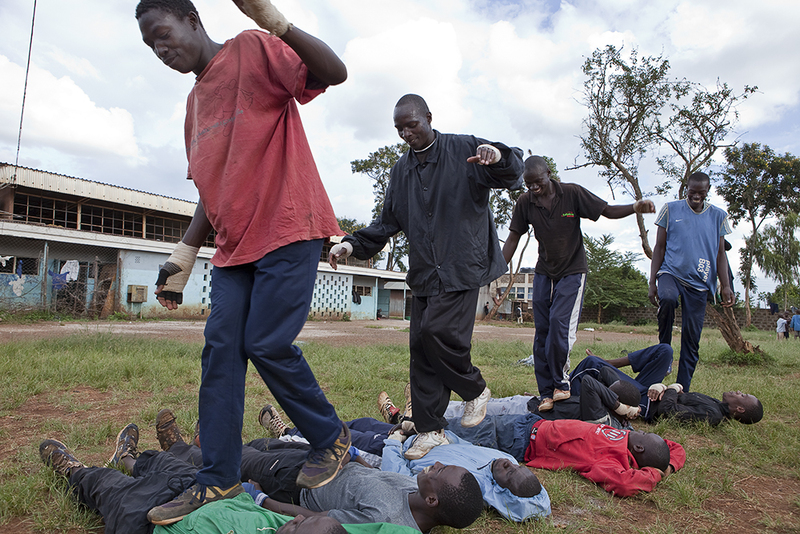 A truely inspiring group of young men. 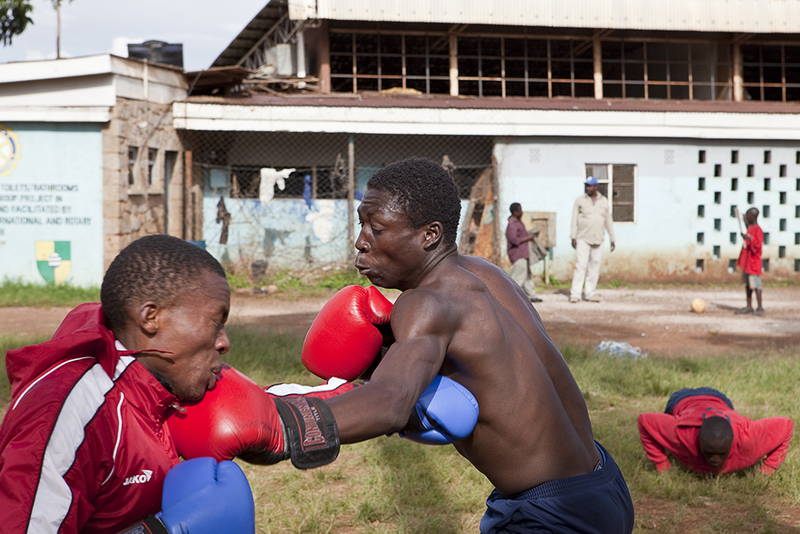 I hope I have done them some small justice with my pictures.